Botswana is a very talented nation across all fields, music being one of them. We have seen over the years an increase of local artists who also bring in high quality music. This morning, thanks to ZEN productions we witnessed the addition of one such artist, “Nomina”. Pamela Nothando Bhulu is her real name with Nomina being her professional name. 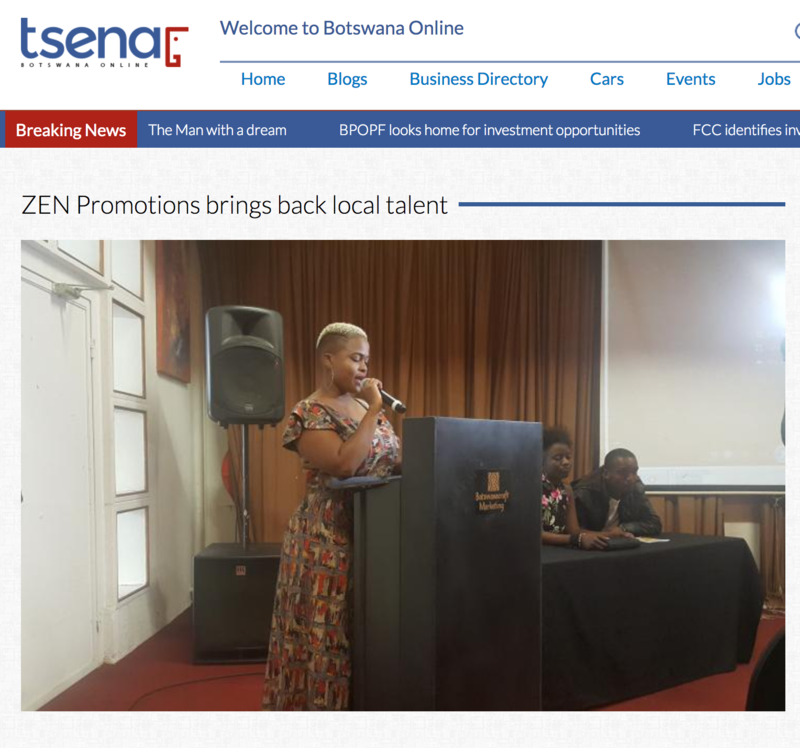 Though orphaned at a young age, she was born in Zimbabwe and raised here in Botswana before moving to Germany for her studies, but we’re still proud and call her our own. Due to the hardships she has faced growing up she has taken it upon herself to ensure a better life for those in similar situations. This is what has birthed her motto “Inspire for change” and subsequently her latest single “Don’t cry Africa”. The song is aimed at uplifting fellow Africans, giving them hope that one day our tears will be wiped off. We had the privilege to listen to the song and see the high quality, locally produced video for the first time. Yes, locally produced and entirely shot in Mogobane. This video is clean, crisp, proper and deserving of a world class stage. Nomina and her team have their sights set on international channels such as Trace and MTV amongst others. Her music is going to be heard all throughout Africa through ZEN promotions, who are her local, regional and African agent. Keep up the good work Nomina, we’ll be waiting to seeing that video again and listen to more music from you. Let’s inspire for change, together.